Get back on the road fast with expert semitrailer repair services from our company in Sparks, Nevada. Sparks Trailer Repair is your trailer repair company providing repair services for semi truck trailers, horse trailers, toy hauling trailers, and deliver trucks. We make sure that your trailer, no matter the type, is repaired properly every time. Contact us to schedule our semitrailer or horse trailer repair services. At Sparks Trailer Repair, we provide repair services for your trailer from front to back including the brakes, electrical wiring, and flooring. Our mechanics have been working on trailers for many years. Between the 4 mechanics, including the owner, there is more than 80 years of experience between them. 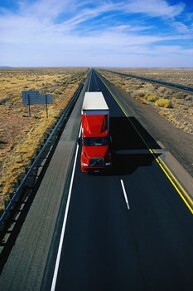 Because of the amount of time semi truck trailers are on the road, they usually need repairs often. We will repair everything including the suspension, floors, king pins, abs systems, door latches hinges. We also provide F cam bushing services, which keeps your brakes functioning properly. You need to make sure this is working properly as the drums do not crack. Additional services for your brakes include checking your drums for stress cracks. Call us today at (877) 627-3665 in Sparks, Nevada, with questions about our semitrailer repair services.